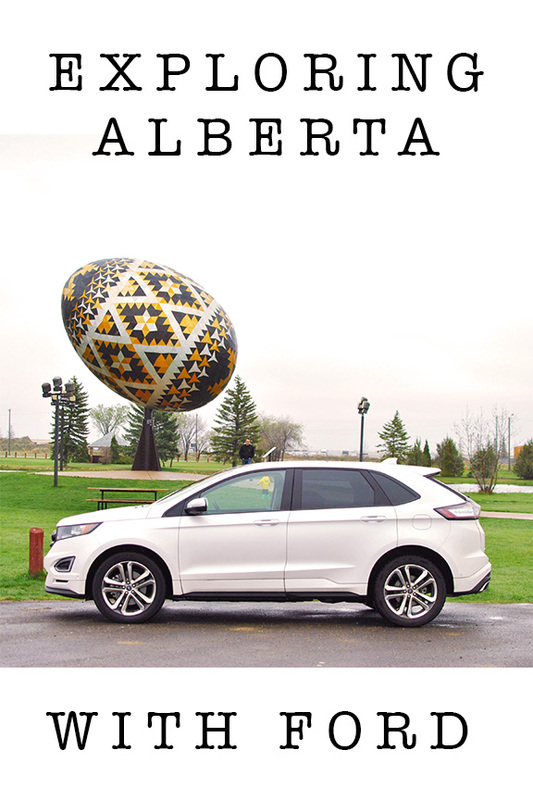 In celebration of Canada's big 150th anniversary, I recently had the opportunity to try out the 2017 Ford Edge for a few days & take it to a nearby landmark. Because neither my husband nor myself are from Alberta (obviously), we were pretty excited when we saw that the landmark on our itinerary was the giant Easter egg in Vegreville. We have explored the Rockies quite extensively but neither of us had been to that part of the province. It was a pretty gloomy day, but we had fun the entire time despite the rain. We started the day with breakfast at Cora's and grabbed coffee for the road (we're Starbucks people but always drink Tim Hortons for road trips; it doesn't get much more Canadian than that!). We did stop in Mundare to check out the world's biggest Ukrainian sausage (yes, there is such thing). And when we finally made it to the Pysanka in Vegreville, we were all pretty amazed! It's huge and very impressive in person. My son loved it, and he loved checking out the CN train across from the egg, too. We grabbed some food at an old fashioned diner in Vegreville & headed back to the city. 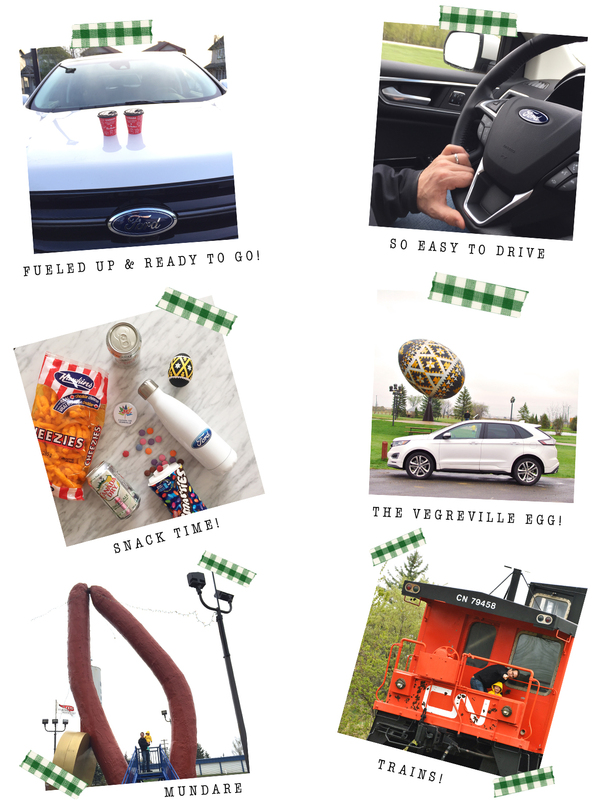 We all had a ton of fun playing with the car's features and exploring our province. In the days that followed, my son kept asking where Mr. Ford's car was, haha! Thanks to Ford Canada for such a great opportunity to explore my adoptive country.